For over 30 years, we’ve been moving homes in and around the Dorking and Surrey Hills area. In that time, we’ve built our reputation on delivering the best customer experience through exceptionally high standards of care, flexibility and professionalism. We take the same attention to detail and care whether we’re moving a piece of fine art or a box of much loved children’s toys. At Surrey Hills Removals we understand that every move is unique so we plan each one individually. Regardless of whether you’re moving abroad or to the next road in Dorking, we understand that moving home can be overwhelming. We deliver a carefully planned and bespoke moving service, whether you use us to undertake all your packing, or provide you with all the packing materials required to do yourself, we leave nothing to chance. If the need arises, Surrey Hills Removals have short and long term secure storage facility, close to Dorking, which can offer your belongings a safe haven for as long as you require. Our staff are long serving, well trained, and know the Dorking area well. Our experience and local knowledge makes a big difference – we can anticipate any potential issues, enabling us to provide a smooth and seamless home or office removals in Dorking. Dorking is a historic market town nestled in the picturesque Surrey Hills. 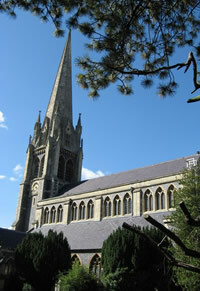 Steeped in history, the spire of the parish church of St Martins, acts as a landmark for residents and visitors. Although Dorking is very much a commuter town these days, well served by three railway stations and road links, it has retained its quiet and peaceful market character. The town centre has excellent shopping facilities and a wide selection of independently owned restaurants, cafes and bars. Two many cooks is one of our favourite coffee shops with outstanding cakes, one not to miss! Dorking is also well known amongst locals and visitors for its antique trade, you can find many of these shops on West Street, said to be the oldest street in town. Dorking also boasts an impressive number of pubs for a relatively small town, and a number of these charming old pubs can also be found on West Street and in the surrounding area. Dorking has a large arts and culture scene, with live music and entertainment often in the Dorking Halls or hosted at town centre events. The Leith Hill Music Festival and the Arts Alive Festival are just two of those. Just a short distance from Dorking are some wonderful destinations for days out, including Box Hill, Denbies Wine Estate. Box Hill made its mark on the map in 2012 when it hosted the Olympics cycle race. 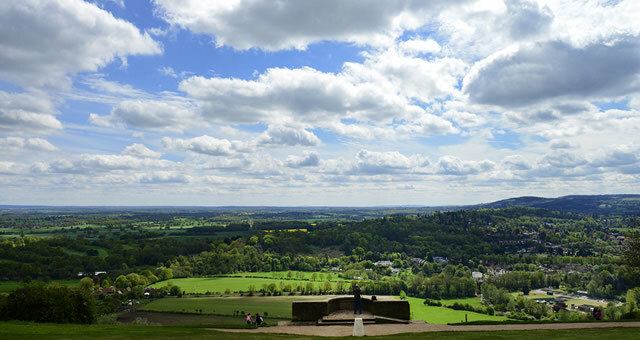 It has some of the most spectacular views over the Surrey Hills and is the perfect place to enjoy one of their many walks. Denbies is one of the largest wine producers in the UK, and indoor winery tours run every day of the year. It’s also a lovely place to enjoy a long lunch with friends and family in one of their two restaurants. From beginning to end the service was fantastic even when things went wrong for us on our move date. Surrey hills came up with storage for us, staff were so helpful. Would recommend to any of our friends if they were moving to us Surrey Hills. Thanks to all staff, office removal men Big Thank You to all. From first phone contact to job completion the company offered cheerful and cooperative support. The work was carried out efficiently and with great care, our team were extremely helpful in every way. This was not an easy job and was coordinated at very short notice. We greatly appreciate the effort of all these involved and would recommend the company highly.